The new Smart Product Market Assessment on networked cameras from Parks Associates estimates that 7.7 million standalone and all-in-one networked cameras will be sold in the US this year, resulting in $889 million in revenue. 9% of US broadband households currently own a networked security camera, but with advances in image recognition and easy self-installation, adoption rates are expected to increase. AI integration and voice control are also drivers for consumer engagement. 7 out of 10 consumers who plan on buying a networked camera look to recommendations from insurance or security companies. 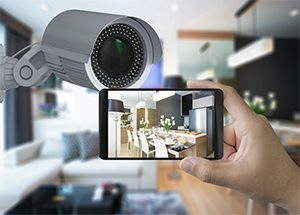 Despite consumers have privacy concerns with networked cameras, factors such as familiarity, dropping prices, and millennials purchasing homes and having families encourage growth in the market. 80% of consumers who plan on owning or already own a networked camera rank image or sound recognition as appealing or very appealing. This technology includes identifying security events such as breaking glass or a person falling. For more information on Parks Associations Smart Product Market Assessment, click here.